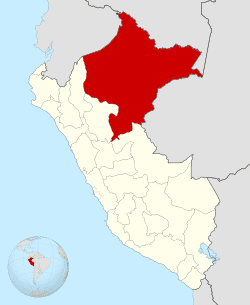 Loreto ([loˈɾeto]) is Peru's northernmost region. Covering almost one-third of Peru's territory, Loreto is by far the nation's largest region; it is also one of the most sparsely populated regions due to its remote location in the Amazon Rainforest. Its capital is Iquitos. 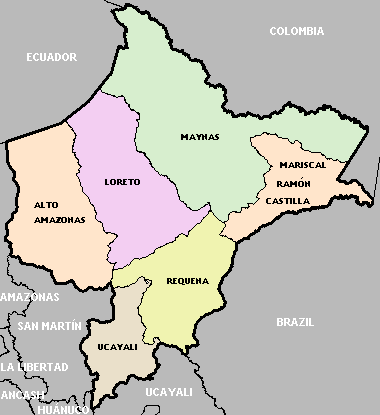 Loreto's large territory comprises parts of the High and Low Jungle, and is largely covered with thick vegetation. This territory has wide river flood plains, which are covered with rainwater and usually are swamped in summer. In these flood areas there are elevated sectors called restingas, which always remain above water, even in times of the greatest swellings. There are numerous lagoons known as cochas and tipishcas, surrounded by marshy areas with abundant grass vegetation. Numerous rivers cross Loreto's territory, all of which are part of the Amazonian Hydrographical System. Most of them are navigable. The main river crossing the region is the Amazon, one of the world's most important rivers. Its numerous curves are always changing and sometimes make for a difficult journey. The width between banks of the Amazon sometimes measures a staggering 4 km. The Yavari River runs from Peru to Brazil, the Putumayo River serves as part of the border with Colombia, and the Ucayali and Marañón rivers penetrate Loreto after going through the Pongo de Manseriche. The weather is warm and humid with an average temperature of 17 °C (63 °F) to 20 °C (68 °F) during the months of June and July, and up to a high of 36 °C (97 °F) from December through March. The average humidity level is 84%, with strong rain all year round. 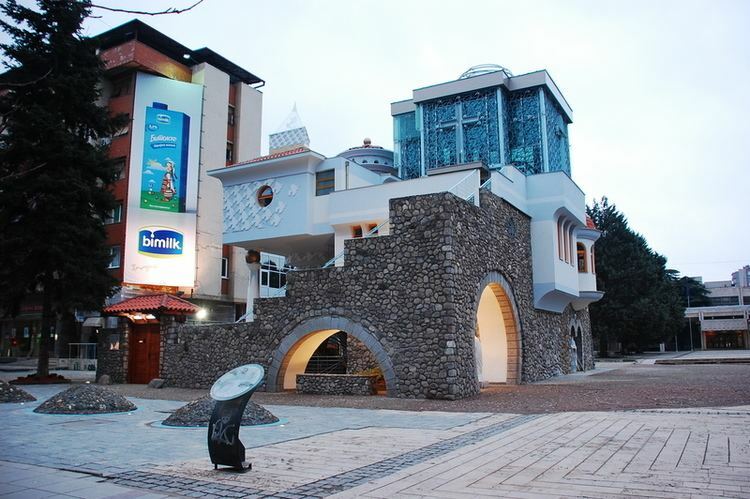 The first settlers in the region expanded through the various eastern slopes of the Andes. Many of these ethnic groups settled in the Purús, Turúa and Yaraví river basins, receiving names different from those of their lineage. It is hard to determine the number of indigenous peoples in the region when the first European explorers and missionaries arrived. Numbers given by chroniclers indicate that within the first century of contact, 100,000 natives were baptized. Presumably, when the Spanish arrived, the total population was almost 300,000. Later on, however, the natives were afflicted with diseases due to contact with the Spaniards. Examples of these diseases are smallpox, diphtheria, malaria, yellow fever, and whooping cough. On February 12, 1542, and after a search of several months, Spanish conqueror Francisco de Orellana discovered the Amazon river, an adventure that began in the Sierra. Even though colonization had started several decades before, the city of Iquitos was founded in the 1750s. It is located between the Nanay River and the left bank of the Amazon river, which makes it an ideal starting point when traveling to surrounding regions. 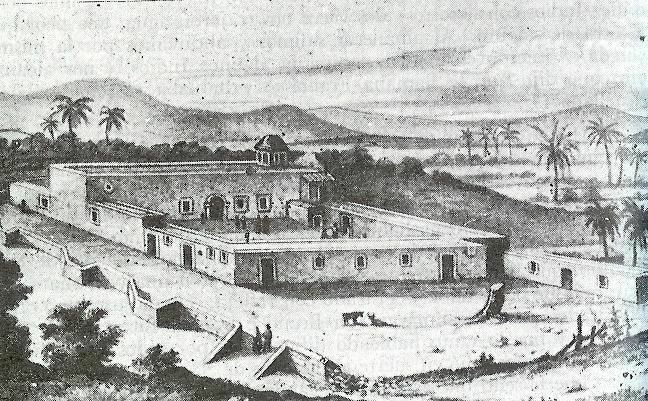 During Colonial times, the Jesuits and Franciscans evangelized and founded different towns. During these years, they contributed by opening travel routes and cutting down distances between indigenous groups and colonial villages. When the missions fell, a long period of relative national neglect followed, encompassing most of the 19th century. Nonetheless, this was the time when the foundations of the future political organization were laid. Also, this was the beginning of navigation via steamboats, the rubber heyday, and foreign immigration. The Golden Age of Iquitos started at the end of the 19th century with the rubber boom. Since the region was very rich in rubber and it became so expensive, it turned into the center of attention and ambitions in the world. This period lasted 25 years and left behind gigantic development once the rubber boom had passed. Loreto is home to many Amazonian indigenous peoples such as the Amhuacas and the Urarina.